Buying a car seat can feel overwhelming with so many models to choose from, changing safety standards and, of course, the need to adapt your traveling methods as your child grows. Here we’ve rounded up our top picks for both infant and convertible car seats , taking into account different aspects including safety ratings, ease of transport and installation and comfort. Infant car seats are small, portable seats designed for newborns and small babies. Most babies will outgrow these seats by about nine months of age. 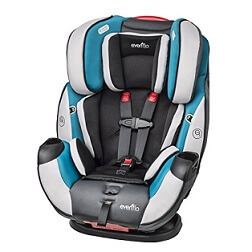 This compact and convenient car seat at a mid-range price is a popular choice. 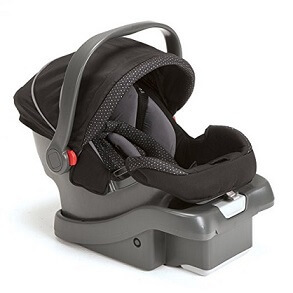 It’s rated highly for safety and is easy to install and remove (though slightly more difficult if you’re using a seat belt instead of the LATCH/ISOFIX connectors). It also includes an infant insert for small babies from 4-11 pounds, making it a good option for premature babies. The Chico Keyfit 30 is also airplane compliant and compatible with several different strollers, so you can take it on the go. On the con side, the fabric is not very breathable, so babies tend to sweat a lot in this seat. In addition, the canopy is short and does not offer full protection from the sun and the seat is on the heavy side, so it’s less convenient if you’re not attaching it to a stroller. Still, for overall safety and ease of use, we give this seat high marks. This stylish car seat, which comes in many different colors, has a lot to recommend it. It offers excellent safety features, including an anti-rebound bar for extra protection. It’s also easy to install, especially without the base, which is a great bonus for city dwellers who can easily attach the seat to a taxi or other vehicle. The Primo Viaggio is compatible with all Peg Perego strollers and can be attached to many other strollers using an adapter. One drawback is that it can be difficult to ensure that the carrier is attached to the base as there is no visual indicator that the seat is connected properly. This model is also heavier than some, so less convenient to lug around. Finally, this is one of the pricier options out there. However, its overall quality and unique features make it a great pick. This car seat has all of the important safety features you need, including side impact protection. It’s fairly easy to install with or without the base, which makes it a good option for moving between vehicles or city living. The Safety 1st Onboard 35 Air is also one of the more budget-friendly options out there. One thing to keep in mind is that it has limited stroller compatibility. It’s also a bit bulky and cumbersome to install. While it’s not as fancy as some other popular models, this car seat offers good quality and good value. 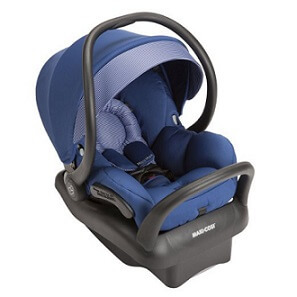 The Maxi-Cosi Mico Max 30 is one of the lightest high quality carriers you can find. It not only meets all the safety standards but also comes with an anti-rebound bar on the base. It can be used for preemies along with the insert and is generally easy to install. One nice perk is that the cover is machine washable and dryer safe. It’s hard to find any real disadvantages to this mid-priced model, although it does take up a significant amount of space in the backseat. Overall, we give this car seat an enthusiastic two thumbs up. It is recommended to transition your child to a rear-facing convertible car seat by age 1 for maximum safety. Convertible seats change from rear-facing to front-facing as your child grows, making them a longer-term investment. Some convertible seats can also be used as a booster seat for older children. This popular option gets high marks for safety, with a steel frame offering extra crash protection. Its super easy to install and comes with an easy-to-clean zip off cover. Plus, it simple to adjust as a child grows, with the harness strap widening automatically when the headrest is adjusted. A drawback is that the straps are somewhat difficult to pull on and the materials could be more breathable. In addition, its extra safety protections make this seat heavy and bulky, so it may not be a good fit for smaller vehicles. It’s also relatively pricey for a convertible car seat. 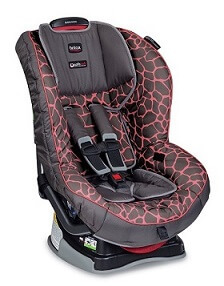 Like its infant seat counterpart reviewed above, we think this is a great option for overall safety, comfort, and ease of installation. 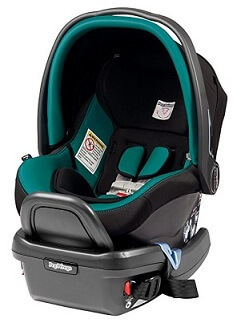 This sturdy car seat offers excellent safety protection, ease of use and comfort. Its steel frame provides extra protection against collisions and the seat includes a number of energy-absorbing components to reduce impact in the event of a crash. In addition, it’s easy to install whether through a seatbelt or using the LATCH/ISOFIX system. The seat is well padded for your child’s comfort and is easy to adjust for different height settings. The straps are difficult to loosen and it doesn’t recline enough in the rear-facing position, which made us wonder if the child was 100% comfortable when sleeping in it. But overall, this is a great option at a slightly lower price than some of the other top convertible car seats. 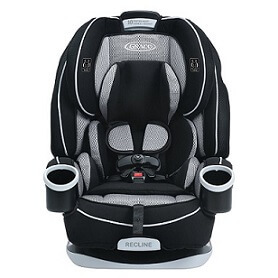 This all-in-one convertible is a great option if you are looking to buy one car seat that will take your child from infancy through early childhood. It offers great safety features including side impact protection and is simple to install. We love how easy it is to adjust the harness as your child grows and it is super padded and comfortable for little ones. It also has two cup holders, which is a handy feature. On the negative side, this seat is heavy and bulky so it is not necessarily the best choice if you need to install multiple car seats side by side. The fabric is also not very breathable enough. Also, we don’t like that it doesn’t recline enough in the rear-facing position. When your child falls asleep, his head falls forward rather than resting against the padding. Finally, though this seat does have a booster mode for older kids, it isn’t really tall enough for a 110 pound child. However, it will fit most children until they are big enough to use a cheaper backless booster. 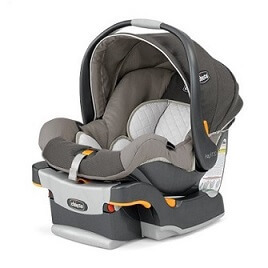 In sum, this car seat is a great option that can take you through your child’s first several years. This "4 in 1" car seat offers maximum versatility and promises to be the only car seat you will ever need. It offers premium safety features including side impact protection, a strong steel reinforced frame and energy absorbing foam. 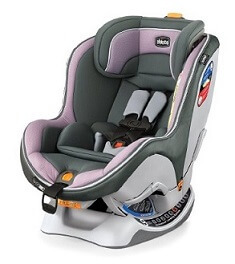 It’s easy to install properly and securely and features such as plush inserts for infants, breathable materials and two cup holders make it comfortable for kids. It’s also narrow enough that you will be able to fit three car seats across in most vehicles. The drawbacks? Although it claims to fit infants from 4 pounds, it is a awkward for use with a newborn. Another (albeit minor) common complaint is that the cup holders may be too far away for kids to reach. It’s also a relatively pricey option, although it is designed to last you for several years. Overall, the quality and value of this car seat—it has a ten-year lifespan—make it one of our top picks. There are many great car seat options on the market and we didn’t mention them all here, but we hope this list has helped you narrow down the many options out there in the world of car seats. Good luck and ride safe!